As we start to approach those long, hot summer days (my favorite!) and the sun makes its stage performance, the effects of its presence can sometimes be more far-reaching and effectual than you may realize (albeit, quite enjoyable in my book!) During heat waves the body has to work much harder to maintain a normal temperature. Excessive heat can not only result in serious health threats by pushing the human body beyond its limits, but can also have an effect on your mental, emotional and spiritual states of mind as well. Heat cramps, exhaustion and strokes are among the possible physical challenges you might experience, but more common is dehydration. However, the heat can also turn up the possibilities for irritability, stress, frustration, tendency towards intolerance, aggression and confrontation, lack of energy, lack of interest in new ventures, and over-stimulation that draws you outward and away from your inner needs. There are many measures you can take to prevent heat-related illnesses including avoiding too much sun and extreme temperature changes, slowing down and avoiding strenuous activity, staying indoors as much as possible and keeping your space cool, wearing loose, lightweight and light-colored clothing covering as much skin as possible, protecting your skin with SPF, protecting your face and head with hats, planning major activities for early morning or evening, and especially drinking plenty of fluids throughout the day (water is our best friend! ), and avoiding alcoholic beverages. 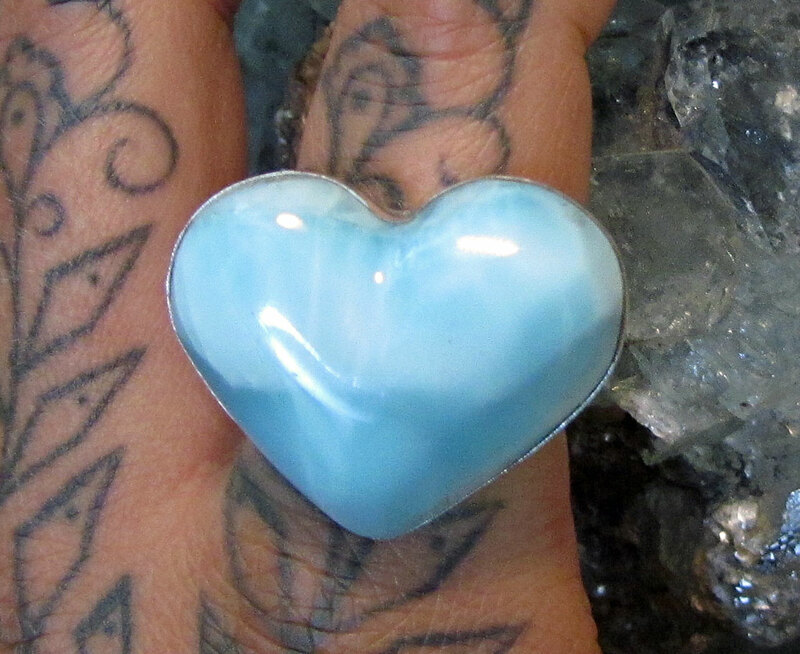 However, another supportive tactic can be found in wearing and surrounding yourself with crystals that contain within them cooling elements to help adjust more than just your physical temperature, but your overall state of being. These crystals support a calming and beneficial effect that supports a return to harmony and balance during the summer months. 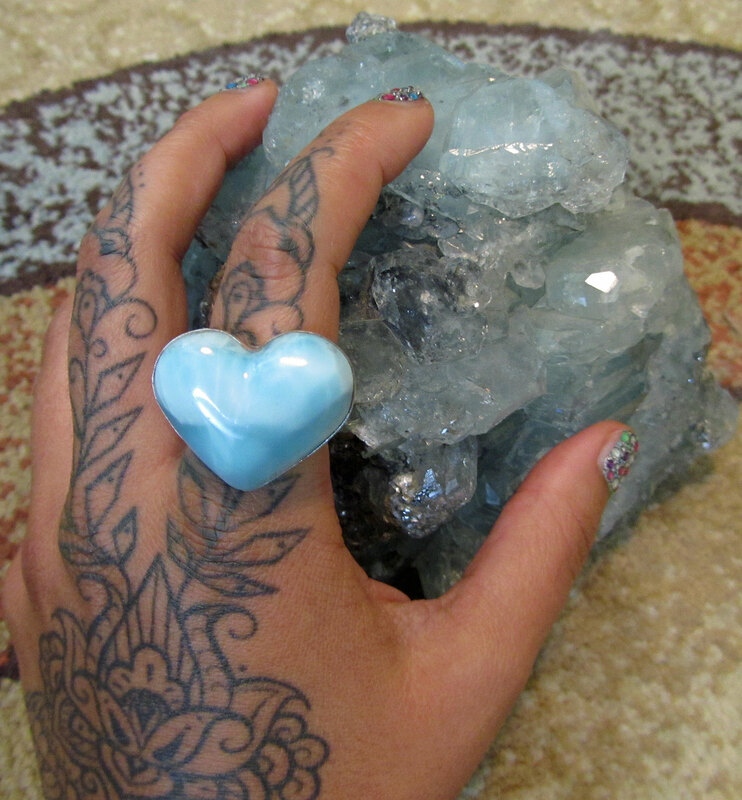 Crystals can and have been used for healing or environmental enhancements for millennia. They possess unique properties and subtle vibrations that affect the physical, mental, emotional, and spiritual levels of being. Since ancient times, healers have been familiar with the fact that crystals possess varying energies and can either be energizing or more calming; sedating or stimulating. So choosing a crystal for its calming properties can help soothe your summer heat experience and help return balance and harmony to your life. Crystal guides, such as The Crystal Bible by Judy Hall, or Love is in the Earth by Melody (two of my favs), can be used to decipher the properties of crystals and help you find what you are looking for, but sometimes merely the color of the crystal can be very telling, as in the ocean color of aquamarine expressing its calming elements. As we approach the heated summer months and continue to navigate in these times of change, it is crucial to find ways to help support a return to peace and harmony. Keeping your body and emotions from getting “too hot” becomes essential and there are many ways you can help facilitate a “cool down” that can not only benefit you personally, but on a collective level as well. Crystals are one such tool that can promote calming tendencies on physical and emotional levels, thus promoting overall well being. Looking for some lovely crystal pendants that can support more balance in your life? Check out our collection of crystal pendants at Joyful Earth Crystals and if you don’t find one there that calls to you, you can commission a custom piece of your desired stone. New crystal pendants coming soon! Posted on May 25, 2012, in Uncategorized and tagged aquamarine, calming crystals, cooling crystals, crystal healing, crystal properties, crystals, crystals for inner peace, larimar. Bookmark the permalink. Leave a comment.